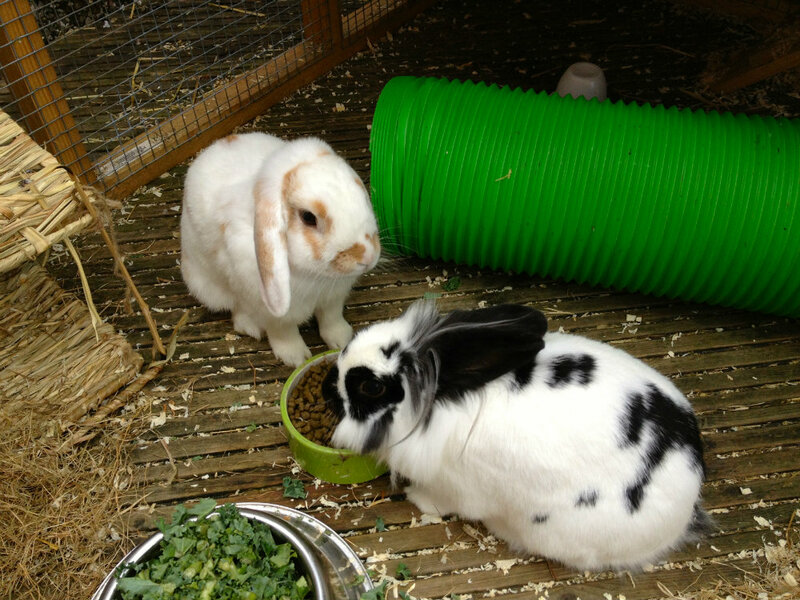 I’M LOOKING after rabbits this week. They belong to Boy Wonder’s school. I didn’t say a word when the Duchess informed me we were housing them through the school holidays. Now the rest of the family is down south for a few days, and I’m left holding the spinach and the pooper scooper, I wish I’d used at least two words. I don’t like pets. In fact, I’m scared of them. I’ve always said that the Worst Job In the Universe is pet shop assistant. All of that chirruping and chirping. All of those smells. When Rocky Balboa courted Adrian at the local pet shop I nearly vomited in horror. Don’t do it, Rocky, I cried – she works in a pet shop, she’ll never properly remove the odour. He didn’t listen, of course. Punch drunk they call it. Adrian would have needed Rocky’s help to install the hutch in our garden. It’s got two floors, private bedrooms and an activity centre. Given the cost of housing in ‘rabbit hutch Britain’, if we still lived down south we could probably rent out this temporary extension for at least £250 per week. Anyway, I had to work late tonight so I’ve just fed the very hungry beasts. I instinctively introduced myself as ‘Uncle Shaun’ and actually enjoyed watching them tuck into their greens and pellets (although I’ve suddenly got vague recall that the latter should only be dispensed once a day and I might be causing leporine obesity). I audibly wished them good night, like they were friends. I hope ITV4 is showing Rocky tonight. I’m becoming attached.